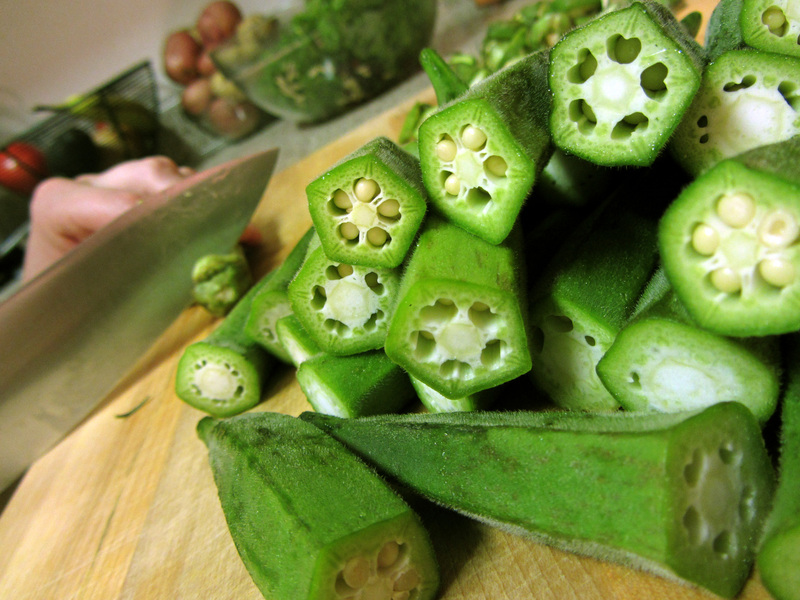 Okra is one of those quintessential southern foods…9 out of 10 people* recognize it only in its natural state…Fried! Previously, I had eaten okra only when it has been buried deep in a warm crispy breaded blanket. BUT when we got fresh okra this past weekend, I decided to prepare it an alternative way. Roasted. Roasted vegetables are amazing. They always seem to turn out well, even if you leave them in the oven a little too long. Seasonings don’t need to be exact…roasting just makes all the flavors magically work together. Pretty awesome. 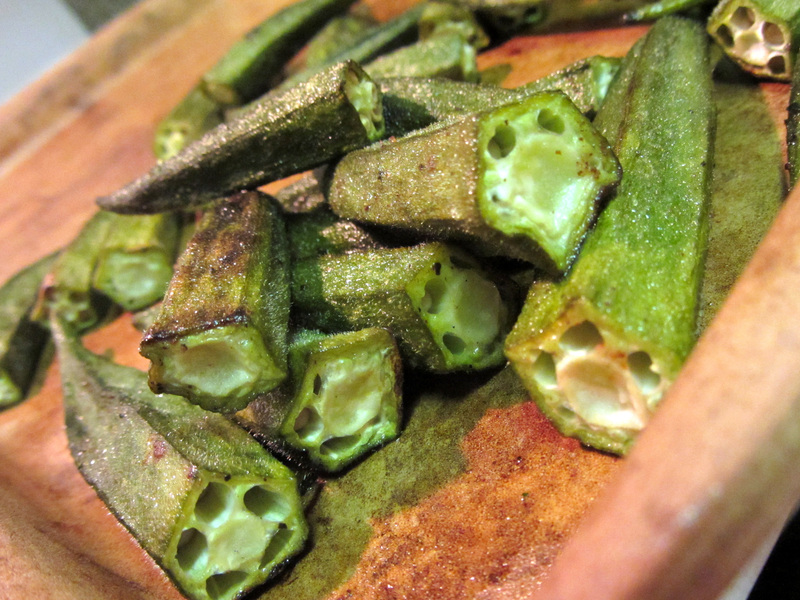 In a mixing bowl, toss the okra with the olive oil, salt, and pepper. Cook for about 20 minutes or until they look slightly brown and crisp. Make sure to stir half way through.